There’s only a couple days left to get in on the Demonplague Kickstarter! If you follow this blog at all you know I’ve launched a Kickstarter with Johnn Four of Roleplaying Tips! 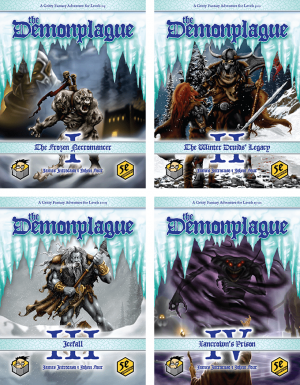 You can read all about The Demonplague adventure on the Kickstarter’s page. In a nutshell, this fifth edition adventure takes characters from level 1 to 20, can be dropped into any homebrew or existing campaign setting, and is designed for GMs old and new. 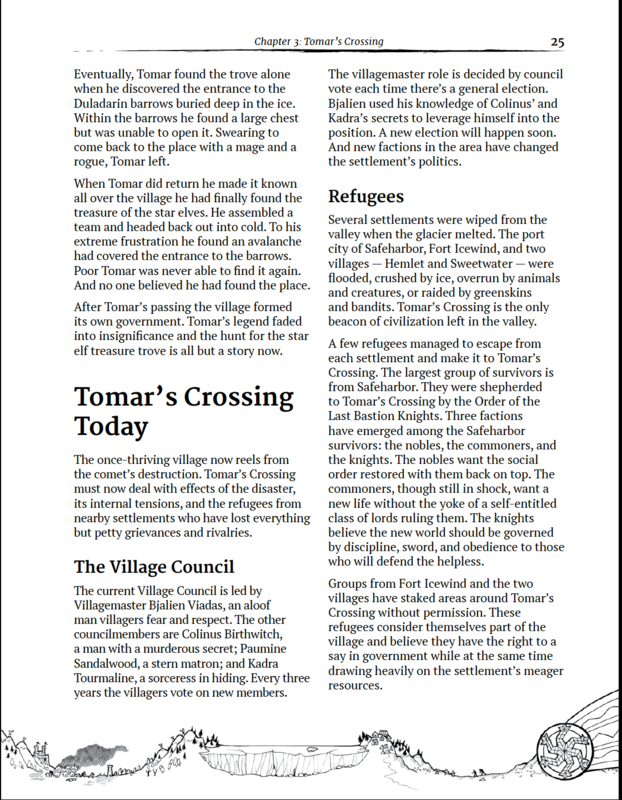 Last week I revealed two pages from the adventure’s introduction. 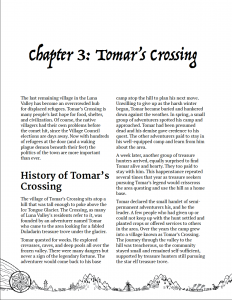 In this post, I want to give you the first two pages that describe Tomar’s Crossing, the only town that survives the natural disaster that begins the adventure. What do you think? Interested in the adventure yet? You can find out more about The Demonplague on the Kickstarter page or by listening to the this episode of my podcast, Table Top Babble. If you follow this blog at all you know I’ve launched a Kickstarter with Johnn Four of Roleplaying Tips! 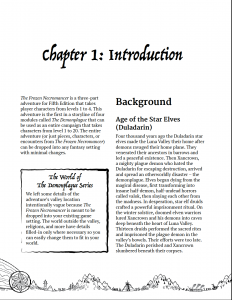 You can read all about The Demonplague adventure on the Kickstarter’s page. In a nutshell, this fifth edition adventure takes characters from level 1 to 20, can be dropped into any homebrew or existing campaign setting, and is designed for GMs old and new. 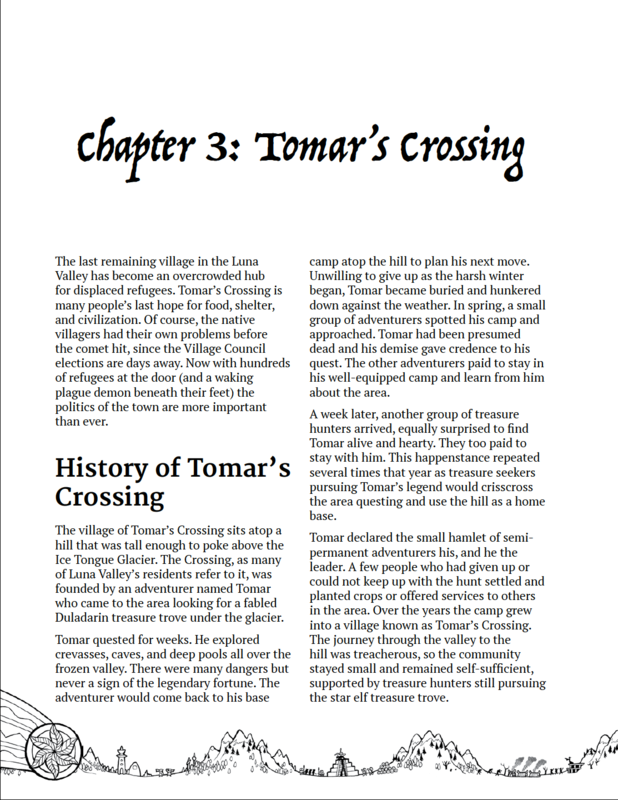 In this post I’m showing off two pages from the adventure’s introduction. 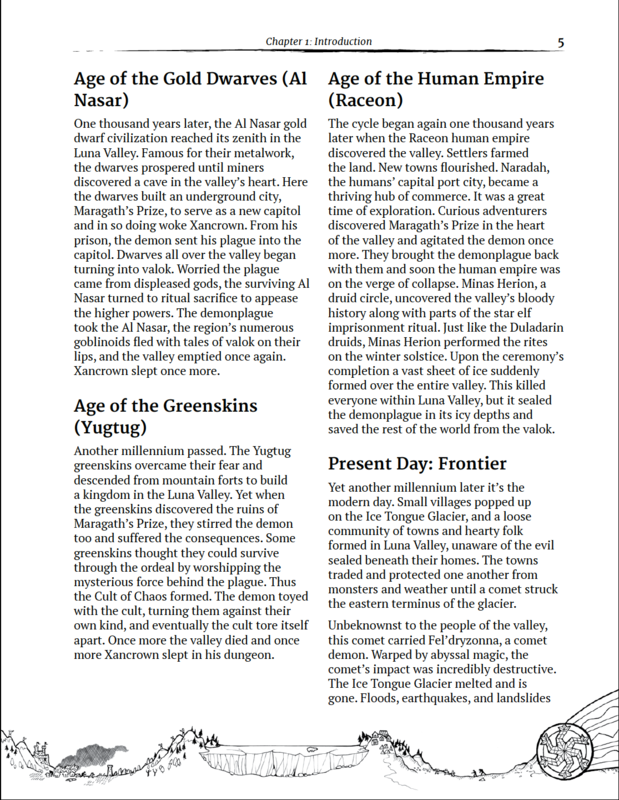 Here’s a bit of history about the Luna Valley, the setting for the entire adventure. What do you think? Interested in the adventure yet? You can find out more about The Demonplague on the Kickstarter page or by listening to the latest episode of my podcast, Table Top Babble. The Demonplague Kickstarter has Launched! I am VERY excited to announce the launch of my first Kickstarter with Johnn Four of Roleplaying Tips! You can read all about it on the Kickstarter’s page. 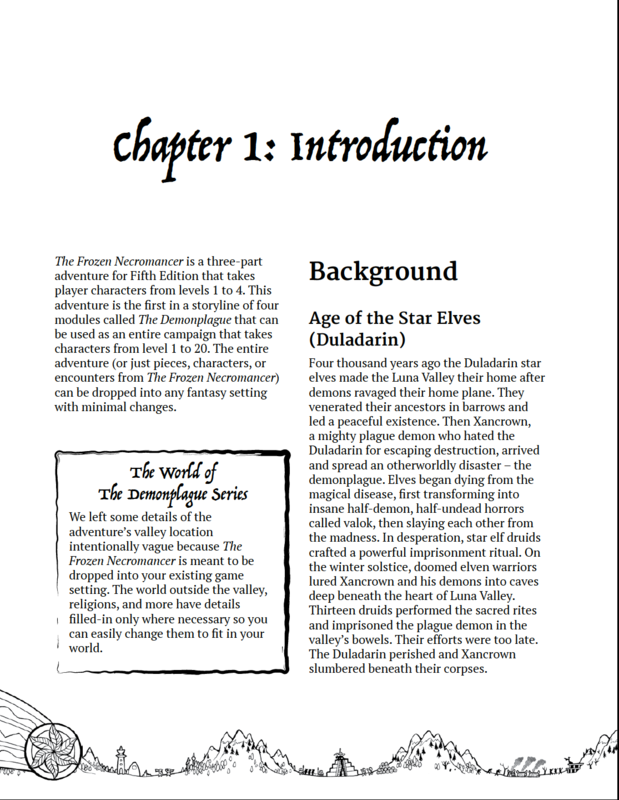 The Demonplague is an fifth edition adventure divided into four parts that…. Takes characters from levels 1 to 20! 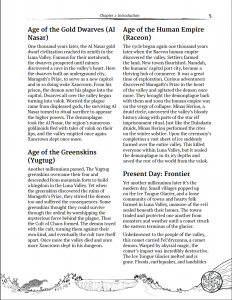 Takes place in a valley that can be dropped into any campaign setting! 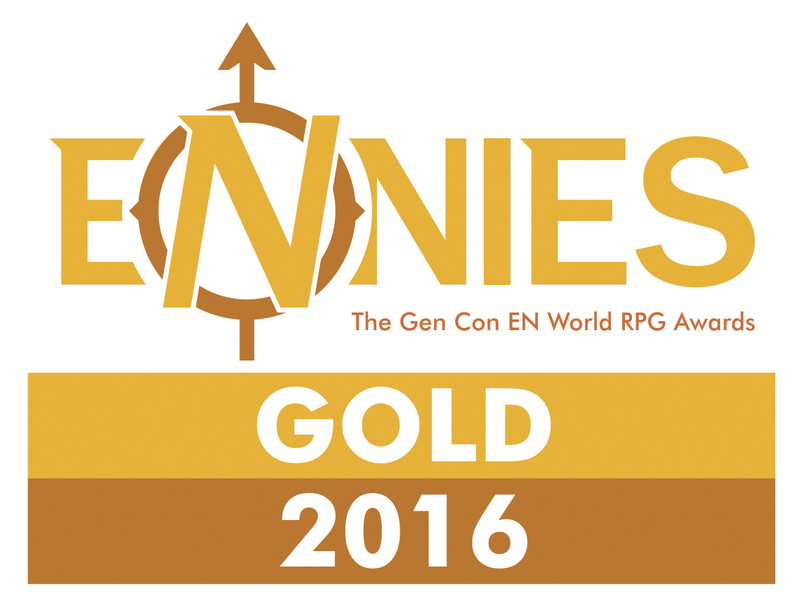 Has a player-driven story with tough choices and the world at stake! 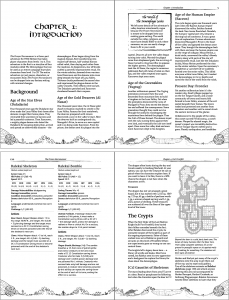 Helps new DMs learn how to run a player-driven, open story! 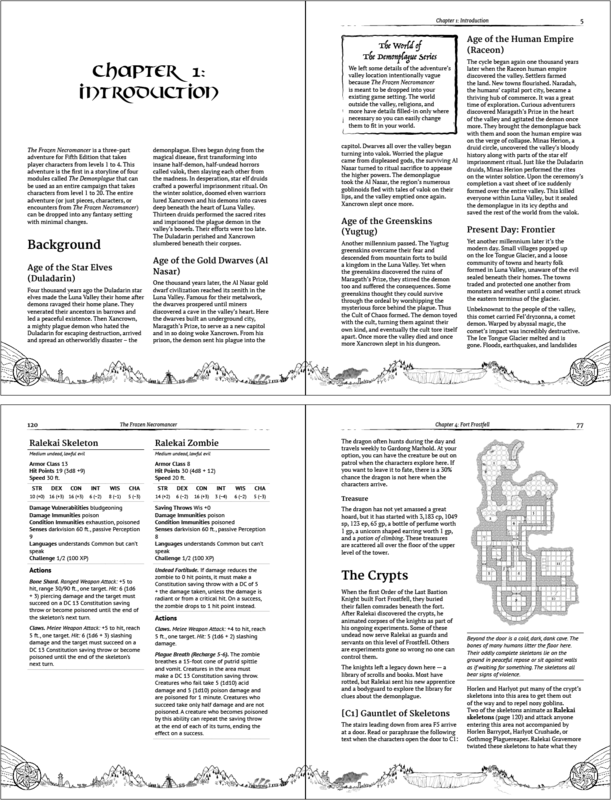 Gives plenty of new content and a great story for DMs who have been playing for years! Has over 20 new creatures! Includes a hexcrawl kit to help you run awesome exploration adventures! The adventure is written and edited, we just need the Kickstarter money for the layout and art. You WILL get this product if you back it. It only runs for 14 days, so if you’re interested now’s the best time to get in. Thank you so much. If you’re interested, please consider backing The Demonplague. More information and previews shall be coming on this blog about the Kickstarter in the coming days! 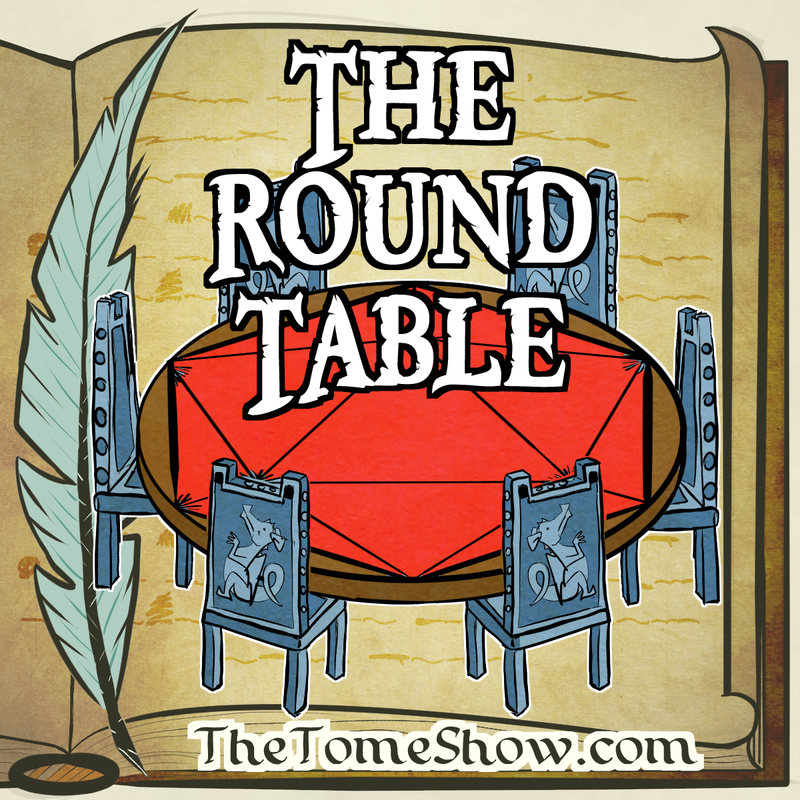 You can find out more about The Demonplague by listening to the latest episode of my podcast, Table Top Babble. James Introcaso talks to Frank Mentzer and Ted Fauster about their new and exciting fantasy setting Empyrea. James Introcaso sits down with fellow DMs Guild Adept Rich Lescouflair to discuss Esper Genesis, a science fiction game that uses the fifth edition Dungeons & Dragons rules. Then it’s a chat with Douglas Cole, author of Dungeon Grappling, about lessons learned from running Kickstarters and the news on Doug’s upcoming adventure, The Lost Hall of Tyr. 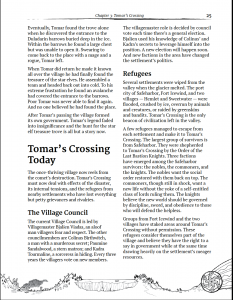 I sit down with Alex Basso, Ginny Loveday, and Round Table newbie Gregg Lauer to talk about the bard, cleric, and druid Unearthed Arcana articles. Then it’s an interview with game designer Mike Myler about his ongoing Kickstarter for Hypercorps 2099: Wastleland. This podcast was recorded on November 30 and December 1, 2016. I sit down with Wolfgang Baur, Jeff Lee, and Jim Groves of Kobold Press to discuss their ongoing Kickstarter for Demonic Cults & Secret Societies for 5th Edition D&D and Pathfinder and Kobold’s recent 5e adventure, Blood Vaults of Sister Alkava. This podcast was recorded on October 11, 2016. Please rate and review The Tome Show on iTunes. It helps us a bunch and takes 30 seconds.